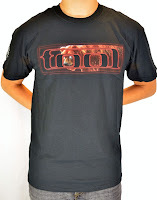 It is perhaps a little overdue that I finally review some Pearl Jam on this blog. Though there were polling opportunities before, they never managed to come out on top (they failed to win the Favorite Grunge-Band poll, and Favorite Debut Album poll.) 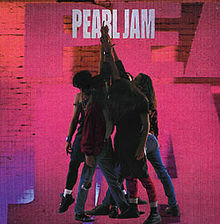 Over the 2nd half of 2011, I decided to focus on the 90's with my reader's polls, and I finally made my way to Pearl Jam. They have had the most staying power of all the grunge-era bands, and deserve some attention for it. It may have been expected that Ten would win favorite album of the 90's, but it is also poetic, as it celebrated its 20th anniversary in 2011. This album was a major cornerstone for the entire Grunge genre. Ten is well known for the several smash hits it includes: 'Even Flow', 'Alive', 'Black', and 'Jeremy'. Beyond those songs is a top-notch rock album from one of the biggest rock bands to emerge during the 90's. Through a persistent commitment to follow their own agenda, and to write music from the heart and not follow trends, or bow to the will of producers or critics, Pearl Jam have established a very loyal and devoted following. Many of these fans first developed this obsession with Ten. 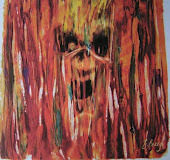 This album brought a certain appeal to the hard-rock music scene of the early 90's. By the time 'Jeremy', the album's 3rd single, was released people were catching on. Along with their contemporaries Nirvana, Alice In Chains, and Soundgarden; Pearl Jam were offering a different sound, and new take on angst-driven hard rock. 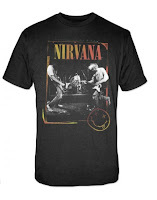 Leagues of new fans, who had perhaps grown tired of the pop-driven Hair-Metal scene, flocked to this new 'alternative' scene, and gave the grunge movement its primary fan-base. With what may be the longest-awaited album from any of the Big-Four bands of thrash metal, Anthrax display a fine return-to-form effort on their latest: Worship Music. This album sees the in-studio return of Joey Belladonna, who had not sung lead vocals on an Anthrax album since 1990's Persistance of Time! It is also the first Anthrax album of any kind since 2004's The Greater of Two Evils, the studio album that featured John Bush vocals on fan-picked Belladonna-era classics; and the first album of new material since 2003's We've Come For You All. In any case, it's been a long wait for new music from Anthrax! In hindsight, the '05 reunion seems to have been the starting point of what turned into a huge identity crisis for Anthrax at the lead singer spot. This was a brief reunion with Joey Belladonna (and guitarist Dan Spitz) to celebrate the 20th anniversary of their classic album, Among the Living. After that tour, the band had several attempts to fill the lead-singer spot: Dan Nelson in '07, John Bush in '09. 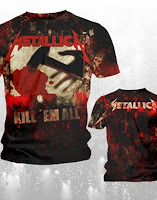 All along the way, the band was working on new material, and with each new singer, new issues were brought up, and the delays for the new album began to mount. Eventually it would be Belladonna again coming into the fold to give a voice to the band's new material. Joey completing the band's lineup came not a moment too soon, as the first ever performance of the Big Four was announced. Anthrax joined Megadeth, Slayer and Metallica for a series of Sonisphere Festival shows, and thrash metal fans world-wide have been treated to this historic event through its release on DVD. With Joey on the mic for Worship Music, it really feels like a classic, 80's-era Anthrax album. The album is packed with riffs that sound like instant classics. Joey's voice hasn't lost anything over the years, if anything it sounds better than ever. Heavy mid-tempo riffs, great solos from Rob Caggiano, and a few clean-melodic passages make this a truly memorable album. In my opinion, the first few tracks on this album are the best, though the whole album is worth hearing. DEADMANSWAKE- 2 Shows This Week!! Attention Heavy Metal 107 readers! DEADMANSWAKE are playing TWO SHOWS this week!! Thursday (TODAY) they are opening for Brand New Sin at the Underground Lounge at 952 W Newport in Chicago, and THIS SATURDAY, November 12th, at MOJOES in Joliet, IL supporting Cynic, Scale the Summit, and Three. 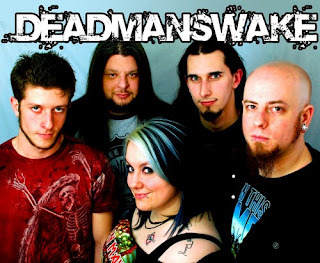 DEADMANSWAKE have been the independent band-of-the-year for 2011, and the current poll of independent bands will decide their successor. This may be the last show announcement for them as Honorary Vice President of this blog, so if you're free on either of these evenings, get out and check them out! 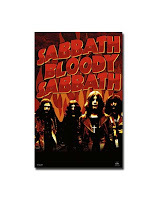 They are sure to deliver superb performances of their classic and catchy heavy metal. HEAVY METAL MADNESS 2012- Now Sponsored by ROCK AMERICA! Here's a little update for those of you participating in (or interested in participating in) the Heavy Metal Madness 2012 competition. I have already mentioned that I will have prizes to give away to the top-scoring brackets that I receive by the January 5th deadline. However, I have recently confirmed that Rock America will be providing a $20 GIFT CARD that will be included in the Grand Prize Package! 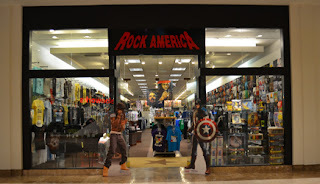 If you want to be a part of this unique contest and opinion poll of rock bands, please email me at happyheadbanger@gmail.com, or stop by the Vernon Hills, IL location for Rock America where brackets are available to fill out on the spot! Again, thank you for participating in HEAVY METAL MADNESS!! !